Mostly Positive (44) - 79% of the 44 user reviews in the last 30 days are positive. Very Positive (4,219) - 87% of the 4,219 user reviews for this game are positive. Includes base game and OST. 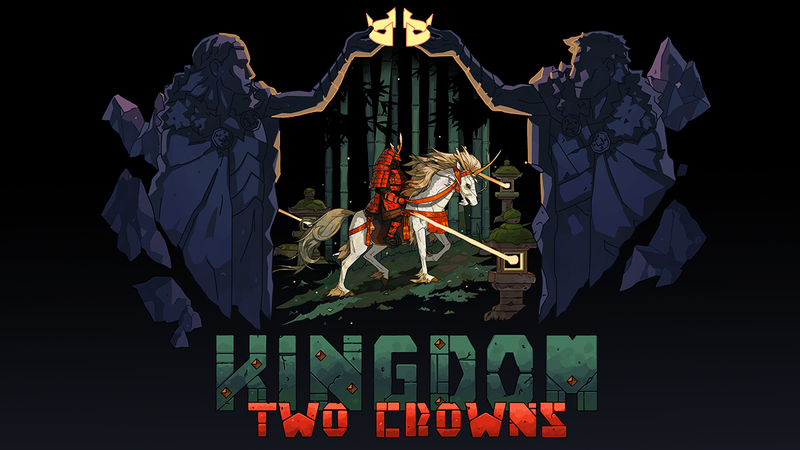 Kingdom Two Crowns is now available on Steam! The long-awaited day has finally come: Kingdom Two Crowns, the next full-fledged evolution of the Kingdom franchise, is now available on Steam! Kingdom was the first game we ever published, a simultaneously wonderful and terrifying experiment as we ventured into indie publishing for the first time, and being able to continue building upon that inaugural success years later has been a dream. As the fans and players of New Lands, we’re excited to show you some of the great new stuff while we’re confident you’ll feel right at home in Two Crowns. Many fans of Kingdom know that the joy is in the discovery and learning for one’s self. There are also those who want to know how this is different from New Lands. To help with both, we’ll make the below list spoiler-marked on sensitive content. IS THIS A BRAND-NEW GAME OR AN EXPANSION TO NEW LANDS? This is a full, brand-new Kingdom game, built from the ground up to offer a fresh new experience that is still very much Kingdom to the core. We’ve added many new features, including the Japanese inspired Shogun setting, the first of many upcoming themed settings that enhance and alter the Kingdom experience both in style and strategy. IS IT STILL A ROGUELIKE/ROGUELITE? We’ve moved away from the roguelike experience and toward a full campaign experience. Now all of the lands will be a part of your greater kingdom, with progress that will maintain over time (you just have to repair any of the erosion). Yes! The campaign can be played either single player or local/online co-op on Steam. IF I LOSE MY CROWN, DO I HAVE TO START OVER? Unlike before, losing your crown in Two Crowns is not the end. You will resume play in the new reign as your descendant who has inherited what remains of your ancestor’s kingdom. You will need to repair the erosion and recruit your followers again, but this can be done at a significantly faster rate, allowing you to pick up where you left off and explore further. ARE THERE STILL UPGRADES? DO THEY STILL WORK THE SAME? Yes, many of the familiar upgrades are still here, along with some new ones - but how you unlock them has changed. Now you will be required to venture to new islands to discover different upgrades and return to the previous islands in order to use them. HOW DO SEASONS WORK IN TWO CROWNS? DOES WINTER END? Seasons rotate regularly and no longer result in endless winter, so surviving through winter into spring is possible; you just have to build your economy to enable you to last. Seasons do not reset when you leave an island though, so be mindful of when you choose to settle a new land! IS THE KINGDOM STILL SECURED BY BUILDING THE BOAT AND LEAVING THE ISLAND? Hahahaha. That’s cute. Not even close. You’ll have to find the technology that allows you to defeat the Greed for good, but even we’re not going to spoil that part. For more information on Kingdom Two Crowns, check out the game page and community hub, or pop on over to our Discord to chat with us, our devs, and our great community of Kingdom fans! Kingdom Two Crowns Launches December 11th! Over 3 million monarchs have experienced the enigmatic and evocative world of Kingdom since its original release in 2015, and now the next installment of our bestselling franchise is nearly upon us! Kingdom Two Crowns will release worldwide on December 11th. Kingdom Two Crowns will feature both online and local co-op. Kingdom Two Crowns is shaping up to be the best entry in our beloved series. We’ll be sharing more over the next month so join our Kingdom obsessed community on Discord, follow us on Twitter, sign up for our newsletter, or check out our brand new Kingdom site! Safe travels, future rulers. Hear ye, hear ye. A sequel is here!